Both of the kids love bath time they stay in there until the water is all over the floor or stone cold. I've recently had to pull their bath time forward due to them taking so long in there. They take a mountain of toys from figures to play food. 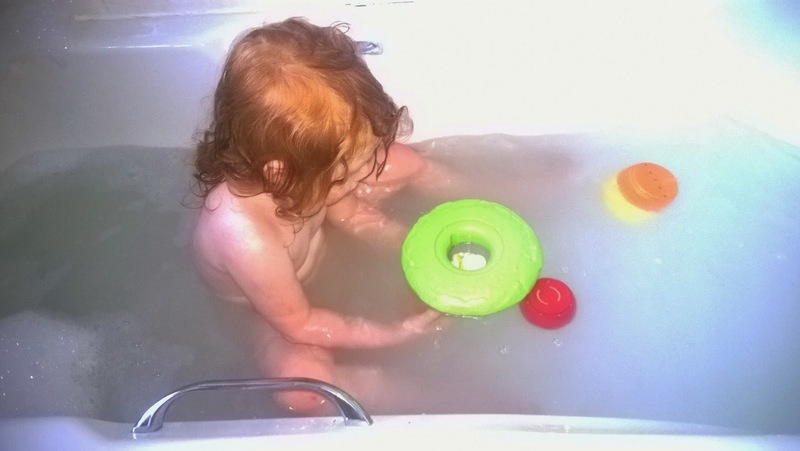 I think bath time is a huge part in playing and making them confident around water. 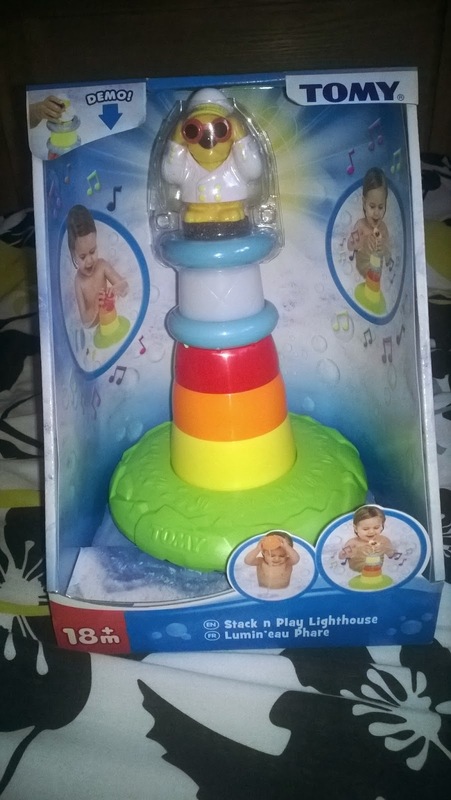 Lexie was very happy when we received the Stack n Play Lighthouse to review. In the box contains a very cute lighthouse keeper. A floating base, three stacking pouring cups and a illuminating lantern with nautical sounds. Its a very calming relaxing tune. The three pouring cups have different patterns so the water all comes out different. 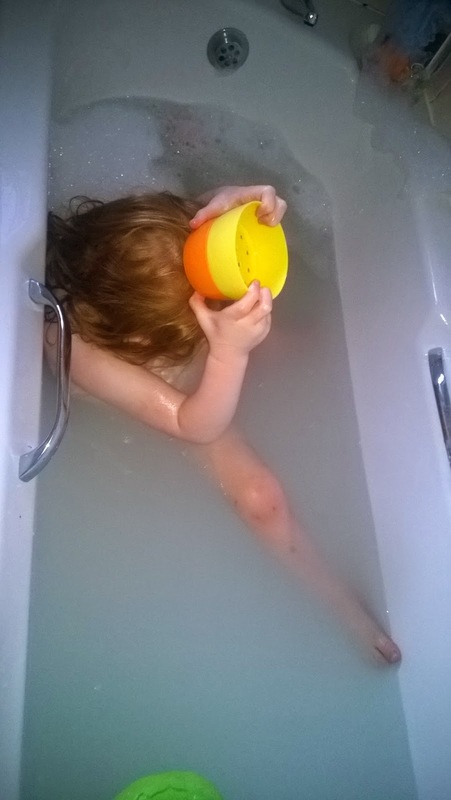 This has been a great tool for hair washing as Lexie has thought its hilarious when I've washed her hair. I was very worried about the musical light up lantern when it hit the water that it would stop playing the music and lighting up, but so far its been totally fine. I'm not sure if its been extra coated so the water doesn't get in to the base of it. 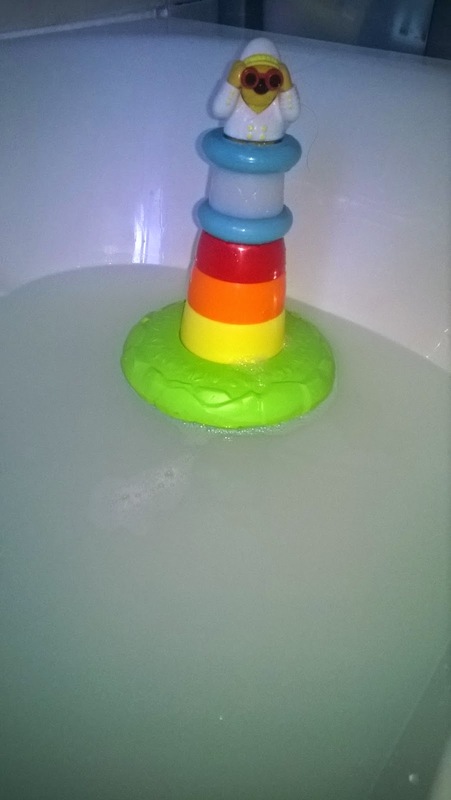 Overall Lexie has loved the stack n play lighthouse in the bath, she enjoyed sprinkling the water with the cups, stacking the cups and watching the lighthouse light up and play music.